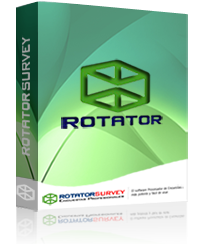 RotatorSurvey is a professional software application for the Windows® environment, intended to serious researchers, Market Research and Public Opinion Research agencies of all types and sizes. RotatorSurvey is aimed at those users looking for a reliable system that allows them to maximize the productivity of the whole research team and to lower the costs. RotatorSurvey is among the best softwares on the market today and stands out for its ease-to-use screens, diversity of functions, friendly interfaces and thorough quality control. RotatorSurvey allows you to create fluid questionnaires that will be applied on the field using any data collection method, either Paper, Web surveys, Phone interviews, Mobile devices, Kiosks working online or offline, etc. The software allows to control multiple surveys at once and offers a reliable, secure and friendly data collection process. You can unify and classify open text questions and ensure the quality of the survey processes. You can analyze results intuitively or export your data to SPSS and Excel. PAPER SURVEYS EASIER THAN EVER! Despite technological advances, the paper still remains as a valid method for collecting data in the field. With RotatorSurvey now is easier and more reliable than ever. With RotatorSurvey you can conduct market and opinion research projects with a powerful and flexible CATI system. Rotator web questionnaires offers advanced features required by market research companies, with a clean and easy-to-use GUI. With tablets and Smartphones you can collect data easily and accurately and you do not have to be connected to the Internet. Create, apply, manage and analyze surveys of any type, using any data collection method such as tablets, SmartPhones, paper questionnaires, telephone interviews, Offline questionnaires and online Web surveys, centralized kiosks may be used for marketing surveys, organizational climate measurement, etc. With RotatorSurvey, the new survey software package for Windows, now everything is faster, more powerful and more flexible. Calculate and process samples of your quantitative research project with high quality and reliability, perform face-to-face phone interviews, in a friendly and reliable way. Rotator offers a free trial version for up to 100 cases. RotatorSurvey makes an effort to maximize the productivity of your research team, allowing you to create easy-to-use data collection interfaces in just a few minutes, thus any user with a minimum training can create, conduct and manage surveys of any extension or complexity. The software has been designed in a structured way, so users have just to follow ACTIVITIES and STEPS in a sequential order, the application is very intuitive, fast and reliable. 1. Download the App by clicking on "Download"
2. Install the software setup and execute the "Surveys Modeler Pro"
8. Collect the survey data in the field. 9. Classify opinion open text questions. 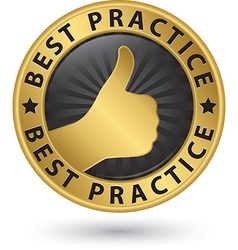 Through more than 15 years of experience, our company has documented the best practices applied by market research firms, political, opinion, social survey agencies operating Worldwide. We have identified, condensed and packaged the collective knowledge of hundreds of companies in our software. Thus, Rotator becomes not only a tool for the creation and analysis of survey projects, but into a intelligent analytical system that warns and recommends the best actions for total quality assurance, aligning your survey with World class practices from companies such as Kantar, Nielsen, Ipsos, IMS, among others. Rotator allows your surveys to be able to scale in number of questions, choices, sample size, operators in the field. etc. You can make any changes in the questionnaire even if you are on the field, without delays and without affecting the existing data or affecting the productivity of your research team.